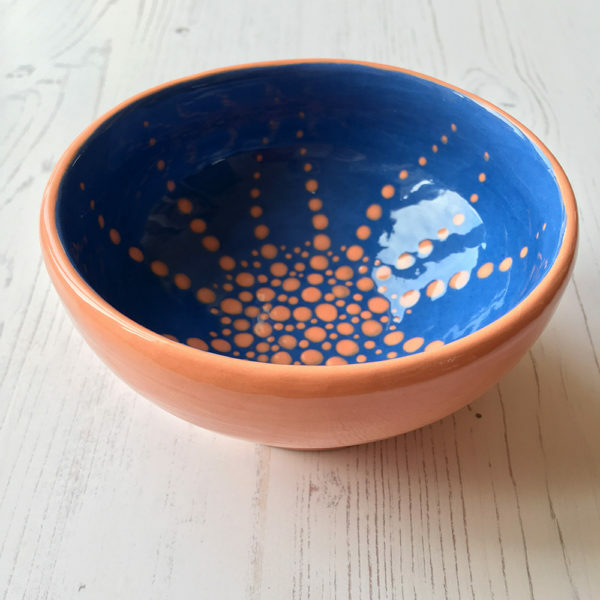 This beautiful blue and peach bowl is one of my few wheel thrown pieces, as I usually hand build. 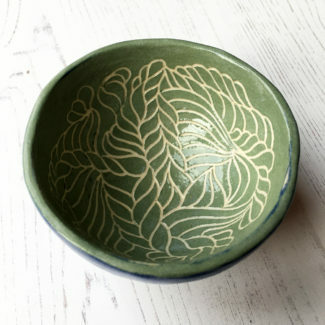 It’s one of a pair I created featuring this unique design motif. 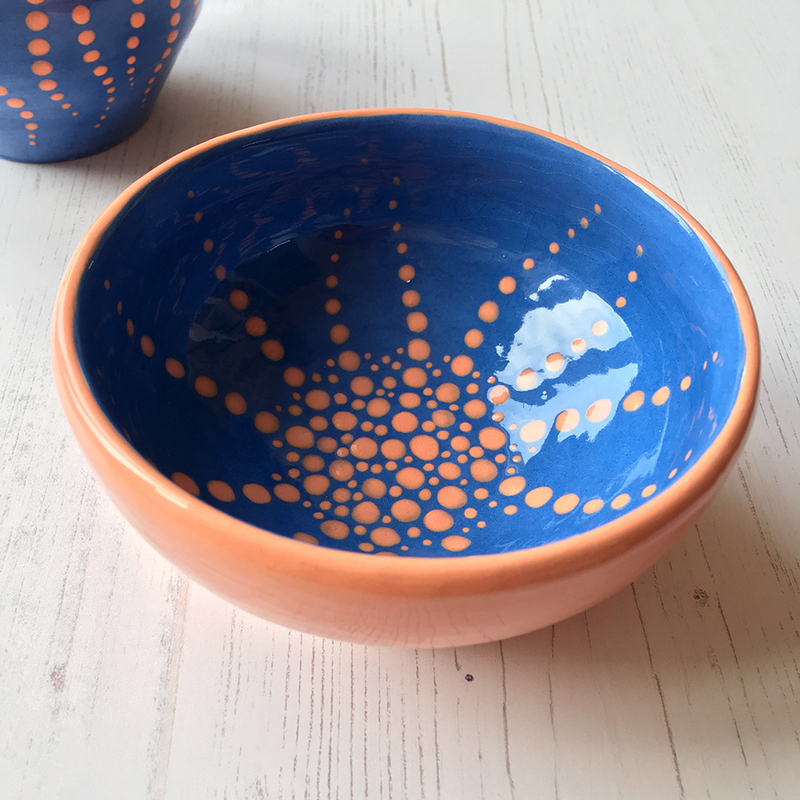 This is one of my favourite pieces of the wheel thrown bowls I did, and it goes with a pang. But they are made to be shared, so I must let it go. 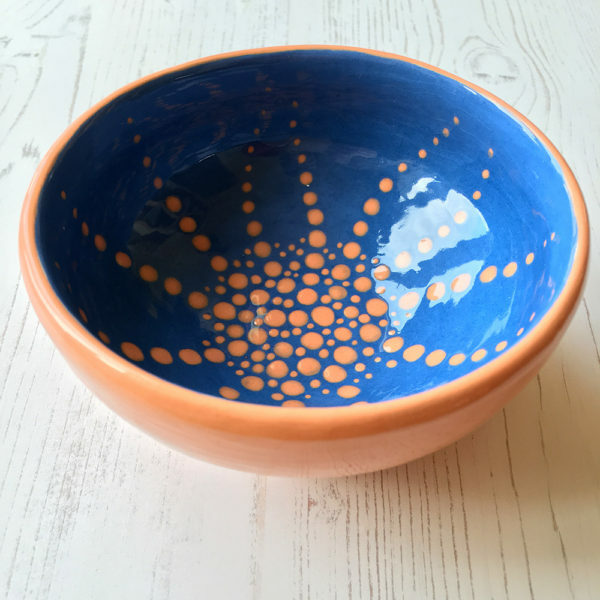 The bowl is made of white earthenware clay, and is decorated using cobalt blue and peach underglaze, and finished with a transparent glossy glaze. 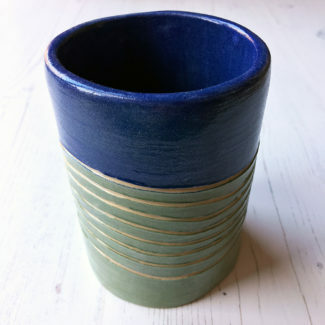 It measures four and a half inches across and approx two and a half inches high. 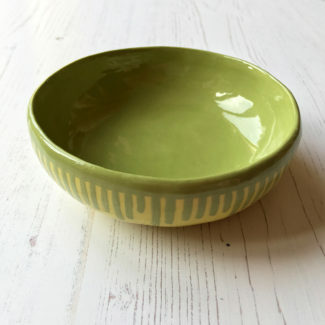 This bowl is for decorative purposes only and not suitable for food or for containing liquid. 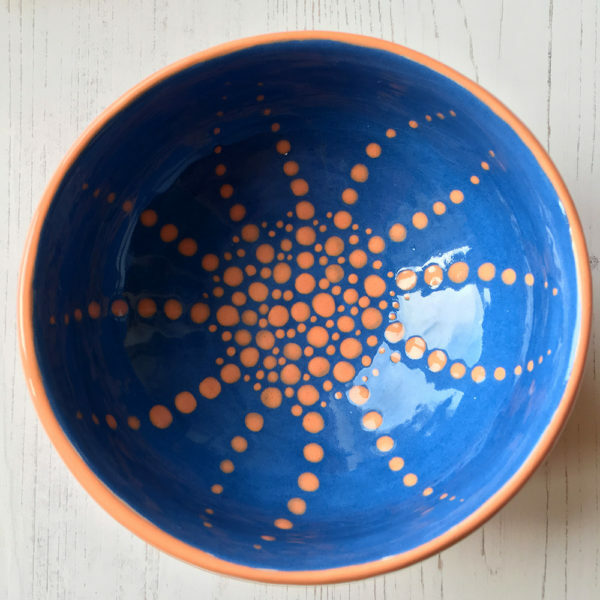 All of my ceramic pieces are unique, individual and feature my own original designs. Time, patience and care goes into their making. my prices are a fair reflection of the work. For information about payment, shipping, delivery etc, please read my Customer Service page.